We’re now less than a week away from Microsoft PDC 2010. The session list has just been published so I think it’s time to indulge in some speculation as to this years announcements. Compiler as a Service – the C# compiler completely rewritten in C#, and available to use programmatically, allowing all kinds of interesting meta-programming, including the ability to write refactorings. It was this last one that interested me most. Luca showed an example involving asynchronous programming. Today we do this by calling a Begin* method, and passing in a callback that will be executed when the asynchronous invocation has finished (and we never, ever, forget to call the corresponding End* method!). This can get quite difficult to wrap your head around if you have a whole chain of methods that need to be invoked asynchronously – say in the callback of the second one you kick off another asynchronous method, passing in a callback that runs a third – and so on. This style of programming actually has a name – Continuation Passing Style (or CPS) – and, from recent developments on Eric Lippert’s blog it seems they’re planning to add support for CPS to the C# language to make it easier to write this kind of code without blowing a fuse in your brain (in typical Eric Lippert style, he is neither confirming or denying what hypothetical features might or might not hypothetically be added to a hypothetical future version of C#, hypothetically speaking). No doubt Anders will reveal all. Since it was released in 2007, LINQ has colonised .Net code bases at an incredible pace. Parallel LINQ was another great innovation in .Net 4. And Microsoft aren’t done yet. The Reactive Framework (aka Linq-to-Events) is coming on nicely. 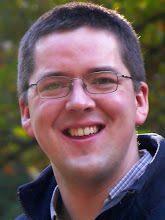 And this year Bart de Smet has a session tantalisingly entitled “Linq, Take Two: Realizing the LINQ to Everything Dream”. Linq-to-Everything sounds pretty ambitious, so I’m looking forward to hearing what he has to say. It looks like we can expect some big announcements for Silverlight this year – check the session list for proof: there’s a note against Joe Stegman’s session on Silverlight saying that the abstract is embargoed until after the PDC keynote. What would I like to see? Well, one of the biggest pain-points I’ve found in my Silverlight programming is that Continuation-Passing-Style programming is thrust upon you whenever you want to show a dialog, or make a call to the server: because Silverlight runs in a browser, you aren’t allowed to block the UI thread, so every potential blocking operation has to be done asynchronously. It would be really nice if C# 5 does simplify CPS, and if that also applied to Silverlight. I’ve already made my PDC prediction for Windows Azure: I’m guessing that Microsoft will announce free, enthusiast-scale hosting for Web Applications in Azure. This is looking even more likely now that Amazon have announced a free entry-level version of their EC2 cloud hosting platform. Thursday 28th October will reveal all. Stay tuned – once again my company has graciously given me time to follow along with the PDC sessions (and this year they’re being transmitted live, as well as being available for download within 24 hours). As on previous occasions, I’m hoping to find time to share with you all what I learn.